Soul food 2015 interview from Tracey Fletcher King on Vimeo. So nice to be able to put a face to your amazing work. I would be thrilled beyond words I won !!!! Your post came through just as I'd turned out the light for the night... but how could I go to sleep without seeing you and hearing all about Soul Food 2015? Of course I couldn't so sneaking out of bed in the dark, to go to the bathroom in order to hear you, and I trying not to wake hubby, I managed to grab my dressing gown only to put it on backwards, slippers were nowhere to be found so feet stuck to icy bathroom tiles... then the belt from my dressing gown dipped into the loo! But it was all worth it to see and hear you looking so full of energy and enthusiasm. How could anyone not want to be part of this... please put me in! I can't wait to see more. Now how to get back into bed undetected and to thaw my feet! I'll watch you again in daylight hours with s civilized cuppa to hand. Nigh night and well done on the film shoot. I think you look beautiful. This is my second commentary -- dufus identify theft people tried to tell me I was not dkatiepowellart. Haruph! Very generous giveaway!!! Loved watching your video...did not even notice the frames :::))))). Thanks for the chance to win! Oh yes, it's nice to put a face (and a voice!) 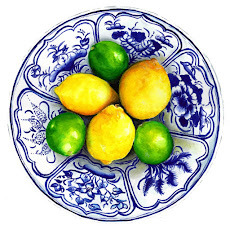 to a name, or a blog :) The Soul Food thingy sounds good, but what really caught my attention, right at the end, was when you mentioned Encaustic Art! I've been wanting/meaning to try this for ages and just recently I went to a free demo (by Patricia Seggebruch), and was so inspired that I have started to put together a few supplies. It doesn't have to cost squillions. She gave us a few very cost effective hints. I will share them, if you are interested :) Like you, I am also concerned about burning the kitchen down, cos that's where I "work", but I think it can be done safely, and poisonous fumes, apparently, are not an issue either :) Anyway, mixed media is my preferred art form, and I reckon that encompasses everything! Hooray! Thanks for all your fab blog posts. I do enjoy them. Oh it is such a delight to hear you speak! How lovely! you are so sweet! I really love this interview! WonderfuL! How fun to see you in person! Being able to take a class from you is all the incentive I need to join the Soul Food class. Thanks for this opportunity to win a space. Love you and your blog and your beautiful artwork. I'm glad Soul Food is an online class so I can enter my name into the fun! I'm delighted and inspired every week by your wit and bright watercolors. Happy Holidays To You and Yours! So wonderful to see you! But I have to admit my eye was drawn to the She Blooms painting I sent you still on your studio wall. I'm so proud! You look gorgeous and I know you'll do a fantastic job teaching this class. You truly work from your soul, which is full of laughter and light. Merry Christmas and Happy New Year to you and your loved ones, my friend. Blessings! I've always been a little skeptical of online classes, but I'm starting to want to try one. Maybe it's the solstice season, making me think about new things. At any rate, thanks for the opportunity. 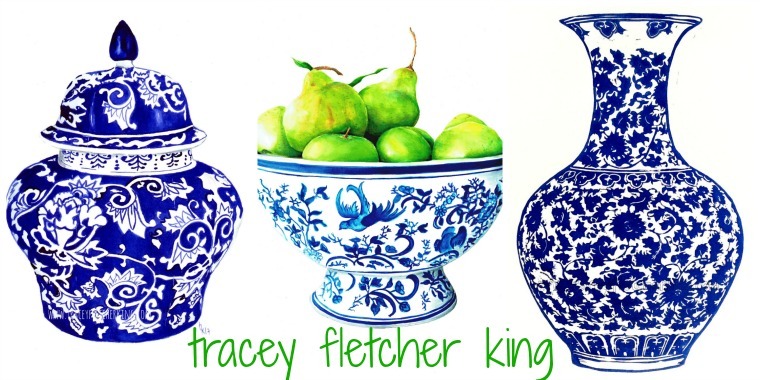 Lovely to be able to see you, Tracey, and put a face (and a voice) to your blog posts. I'd be thrilled to win! So today is officially my Christmas now that I got to see you and hear your voice after just having the most amazing visit with my best friend!! Thank you, thank you, thank you for this video!! You are beautiful inside and out and even if I don't win the spot in this class I feel so blessed just to have seen the authentic Tracey Fletcher King with her hint of humour shining through! I love how Nessie was as excited as I was!! She reminds me of you so much! !Thanks for the opportunity, but mostly thanks for solving the mystery that is Tracey!! Season's Greetings Tracey. Loved the video. Nice to see the energy behind the artwork. Great giveaway prize too. I'm with Neesie and Minn, you look absolutely beautiful. That hair ROCKS! It was a christmas present to hear your voice and bask in that lovely accent, mom says your hair is perfect for pool time all summer, you look and sound wonderful. Nope, not sucking up for a placement either, but put me down on one of those pieces of paper, will ya? I'd sure love to actually take a class from you, my friend. It'd be like you were in my own home and we were gabbing about art. Sending lots of Christmas love and I must say, mom was a little disappointed she didn't get to see the paint splattered mutt in the vid. Maybe next time, hehehe. Love you all, talk soon Darl. Oh how wonderful to see you and hear you! Your part in Soul Food sounds wonderful. I can't wait to hear more about it and hopefully be a part of it. Sorry if my cursing woke you, but my phone is being a real pain in the arse and putting words where it likes (I bar skipping lines) so this has taken a lot longer to type than it should. wonderful to put a face to the laughs from over the year! no need to enter me in the contest, just wanted to let you know that i love your accent and look forward to the next time you decide to post a video. I too love being able to put a face to your words. I'd love to win a spot! The line energy in the teapot painting is lovely. The thicker, thinner lines really excite me and the color is luscious. Thank goodness its an on-line class so I can enter! (I live in the Unites States) Just loved your video and your crooked picture frames, your thoughts on creating art and your blog. You always inspire me to keep creating. Merry Merry and a big Ho Ho Ho. So nice to "see" you. Here's to creating! i always love stopping by your blog to see what's going on. What a bonus to see a video this time!! Hey beautiful eyes... what at treat to see and hear you, I was so excited! I am so excited to meet you! I am loving your style! I look forward to getting to know you better in Soul Food 2015! So happy to have met you!! What a wonderful video you made!! Tracey, you are such a beautiful woman and I look forward to learning more about you!! So looking forward to next year's Soul Food! Can't wait to see what you have to offer in your class - love love love your artwork! 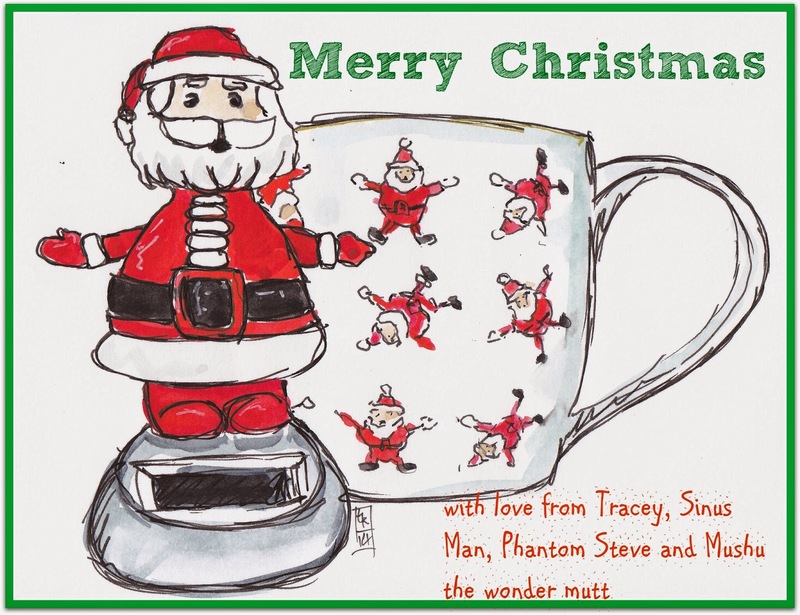 Brilliant and fun Christmas card Tracey! Loved your interview and getting to see and hear you in person. I'd love to win a spot in this class-thanks for the giveaway offer! Your writing is so fun to read and you make me smile. I'm not too Christmassy- mostly I'd rather go live in a cave until the holiday season is over - but your solar Santa is cheery. Merry Christmas! Love your solar post a lot, brought many smiles to my face. If slobbery dog picked my name that would make mine a very happy Christmas and an even better new year. Good health and happy painting everyone. Hi Tracey, It is so fun to see you in person. It would be so fun to win a spot and get to take your class. Have a Merry Christmas and a Happy New Year. Happy Holidays! Would love to win this class. You make it look so fun and simple. so nice hearing your voice! Good luck everyone! I think 'badger' hair should be a new trend....looks fab, as does the asymmetry of eyebrows. I'm all for asymmetry. Have a very Happy Christmas Tracey...and a creatively successful 2015. Wow - solar Aantas and paintings and glitter and a giveaway AND a video! Awesome post. So nice to have the chance to see and hear you! Merry Christmas to you, and best wishes for the new year! LOL! So glad you warned us about those crooked frames! :) it was lovely to see your beautiful face, badger hair and all! I'd love to win a spot in the Soul Food class please - thanks for the giveaway. Tracey - Lovely to see and hear you. I thought I left a comment yesterday but I don't see it so I'm commenting again (hopefully this won't become 2 and make me look greedy - not the intention). I do, however, want to toss my hat in the ring for possibly being picked as the giveaway winner. Fingers crossed. I love your style of writing and your sense of humour. I know I'm going to enjoy Soul Food 2015, this will be my first time, and winning a spot will make all the more exciting! Sounds absolutely delightful.. what a wonderful way to look at art. Everyone has said it all so all I can add is...pick me, please! Hugs. Love your art, and your quick, informative video. Can't wait to get to know more about you, and your wonderful art! Thank you for sharing yourself! And thanks for the opportunity to win a spot in this great program. It would be a fabulous experience to win! Big hugs. Please let the dog choose. Dogs live me and I would love to win a spot in the soul food workshop. Cool to see you in person, Tracey! Your hair looks great!! Congrats on being one of the sous-chefs! Of course I would so love to win a spot in soul food. I absolutely love this class. I wish you a wonderful Christmas time with some nice cuppas! I just started painting and drawing earlier this year, but did not have much time. So 2015 is going to be 'my creative year'! :) Soul Food sounds like dreaming, learning, having fun, finding 'my style',... So fingers crossed! So nice to see you "in person" and you sound as fun as I had imagined!! I'd love to win a place in class and learn under your tutelage!! Pick me!! Hi Tracey...I'm not going to restrain myself here...and hope you pick ME. I so want to do Soul Food, need the nourishment at the moment...and I'm an avid tea drinker. So my fingers are crossed. I think it's my time to be the chosen one. ;)) Happy 2015!! Please enter my name for a chance to win a spot in Soul Food 2015. BTW, your hair looks great! The crooked frames gives them extra character. I wish you health, peace, love and light. What a chipper video. Most informative and encouraging. Think it would be wonderful to win a slot for this. Thanks for your time. What an absolutely beautiful and generous way to spend the holidays! Your artwork is gorgeous and inspiring! I would love a chance to win a spot in Soul Food. Thanks so much for the chance to win a spot. It sounds like a lot of fun. 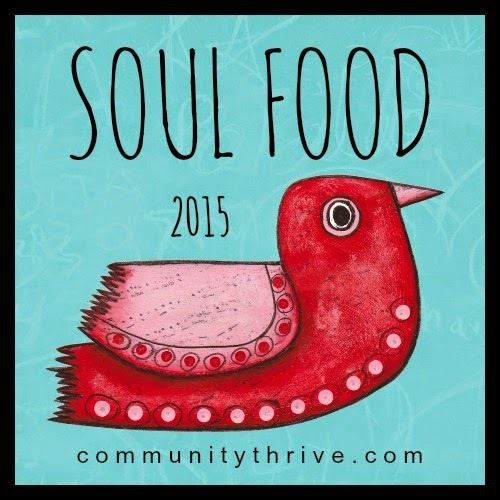 I would love to win a seat for Soul Food 2015 and thank you for the opportunity. Happy holidays and the best in 2015. Thank you for sharing yourself and art to us and also a big thank you for a the chance of winning a place in Soul Food 2015. Thanks for the chance... Here's hoping. Sorry to hear about your spams they are so annoying. I so love the bright colours you use, they give me such a lift too. What a fabulously perfect explanation of how you do your beautiful art, Tracy! I so enjoyed seeing you here and listening to your "the way I suggest you do it" delivery. Worthy of a treasure in itself! Many thanks! Hi Tracey, Well this year is drawing to an end. I am looking forward to the New Year 2015 and wish you and your family good health and happiness. Thank you for sharing your wonderful art and wisdom. Thank you for all the helpful hints and comments on my blog, too.Your video was great. I hope to try out the Soul Food lessons with you and other talented ladies. 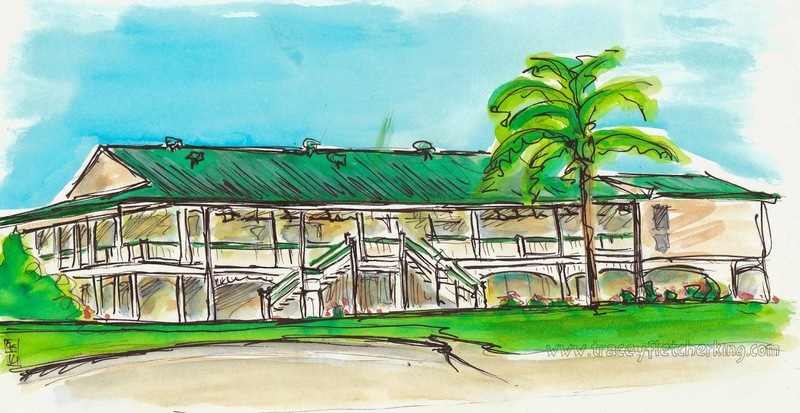 Glad to make your acquaintance - I love pen and ink with watercolor so I would love to win. Well, I've managed to make it through the silly season in one piece, and still relatively sane, so I thought I'd have a wander through the blogs. And lo and behold, it's you! in full living colour; sound too! Nice to meet you, so to speak, and good luck with the course. P.S. if my name comes out, put it back and let somebody else have it. Oh this sounds so much fun!! Congrats on being a teacher! Have an awesome 2015, Tracey! Oh my gosh!!! How wonderful to see your beautiful face & hear that amazing accent!!! So very cool, Tracey! How did I miss this post?! Oh how you make me smile! I would just LOVE to take a class with you!! Winning this spot would be super amazing!!! Oh and I am so sorry! I left my comment as "RubberMoon "! It's me, Kristen Powers!! Would love to win a spot. New to the community but love to paint and art journal.